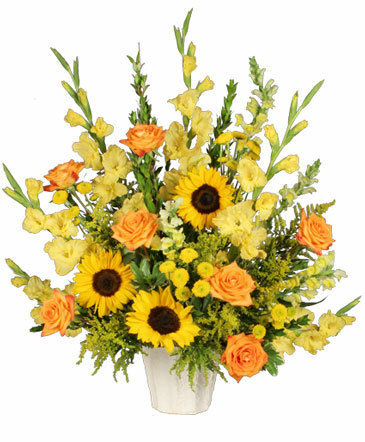 The Golden Goodbye Arrangement is Made Up of Warm, Rich Shades, Appropriate for Both a Man or a Woman, & is Beautifully Designed to Convey Corporate Condolences, Fond Memories, or Never-Ending Love. The Candy Corsages of the 50's and 60's Are Making a Comeback! We've Added a Bit of Sweet Southern Tradition to This One! 16 Miniature Sugar Cubes Add to the Whimsy of this Corsage; Available in Pin On or Wristlet (Shown). You Choose the Colors. 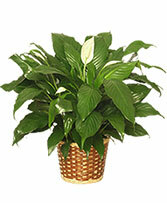 We Regularly Mail These All Over the Continental U.S.
A peace lily is a popular choice of house plant because it thrives in most any home or office setting (with very little plant care required!) It's also one of the only flowering plants that will bloom indoors. Available in a large floor plant or a smaller table top plant. 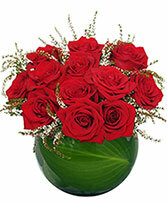 A Beautiful Little High Style Arrangement Featuring Lush Red Roses in a Leaf-Lined Bubble Bowl. A Modern Take on a Timeless Classic. Perfect for an At-Work Delivery!